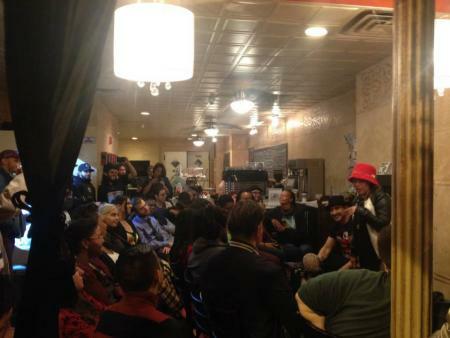 Held at Gia Gelato, 281 Newark Avenue in Jersey City, on the third Wednesday of each month, Wordsmithing Unplugged welcomes Wordsmiths of every genre — spoken word artists, singer/songwriters, emcees, screenwriters, and more – to share their words in an intimate venue using whatever style they choose. The “non-mic” is open to all and is crafted as a warm and welcoming way to interact between artists and audience. Interlaced into the event are “wordsmithing challenges” – quick writing prompts that are meant to inspire creative explosions of all kinds – which are rewarded with fun, word-related prizes. Come out for a chance to perform, a chance to enjoy community, a chance to win a wordsmithing challenge, or just for a chance to have a good time. For more information, please visit www.wordsmithingweb.com.